The accusations and counter-accusations among federal lawmakers assumed another dimension on Monday, as the South-East caucus of the House accused Senator Ali Ndume of instigating the EFCC’s investigation of the Deputy Senate President, Ike Ekweremadu. They warned that the entire South-East geopolitical zone would hold him responsible should any harm befall the deputy Senate President. The group accused Ndume of interfering with the work of the EFCC by making utterances and granting interviews suggesting that the agency was treating Ekweremadu with kid gloves. The group said, “We have closely watched events around the National Assembly, especially the ruthless attempts to emasculate the opposition and unseat the Senate leadership by all means possible. “We have also followed the ongoing investigation by the EFCC of the allegations levelled against the Deputy Senate President, Senator Ike Ekweremadu. 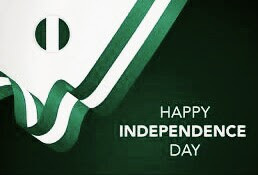 Despite our doubts, we have maintained our calm, hoping that the law will take its natural cause to vindicate the innocent. The South-East lawmakers alleged that Ndume’s latest comments gave him away as the one behind the July 24 blockade of the official residences of Saraki and Ekweremadu by security agencies in Abuja. The group added, “Indeed, reading Senator Ndume’s comments clears every doubt that himself and some other All Progressives Congress senators and cabals are behind the ordeal of the Deputy Senate President and that this investigation has to do with the remorseless efforts to unseat the Senate leadership. 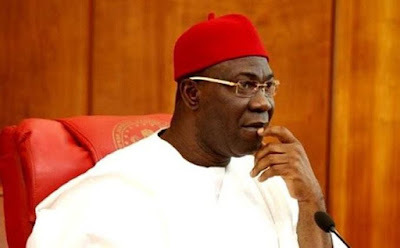 “It is now easier to link the hostage-taking of Senator Ekweremadu and the attempted hostage-taking of the Senate President on 24th July, 2018 by agents of the State on a day both were supposed to be presiding over the Senate. When contacted, Ndume said he would address journalists on Tuesday where the allegations would be responded to.